Lew P Christopher holds a Master’s degree in Chemical Engineering, PhD degree in Biotechnology, and has more than 20 years of industrial and academic experience. Currently, he serves as Director of the Biorefining Research Institute at Lakehead University. His research mission is to add value to the emerging Bioeconomy by applying an integrated biorefinery approach to the development of renewable energy technologies. He is a Member of the Editorial Board of several international biotechnology journals, advisory boards, and professional societies. He has made over 400 scientific contributions to the field of bioprocessing of lignocellulosic biomass. The global trend for production of bioenergy and bioproducts from renewable resources is currently steered by three important drivers: 1) diminishing reserves of readily recoverable oil and fluctuating oil prices; 2) growing food and energy needs; and 3) increasing greenhouse gas (GHG) emissions. The global production of plant biomass, over 90% of which is lignocellulose, is about 2 x 1011 tons per year, with up to 2 x 1010 tons of the primary biomass remaining potentially accessible and available for bioprocessing. Current estimates indicate that the global energy demand will continue to increase and reach 653 exajoules (EJ) in 2020) and 812 EJ in 2035. At a price of $107 per oil barrel, the cost of the lignocellulosic feedstock (US $2.6/GJ at $50/dry ton biomass) is lower than natural gas ($3.3/GJ) and crude oil ($17.2/GJ). However, at the current low oil prices, the cost of lignocellulose conversion ($20/GJ) exceeds nearly twice that of fossil fuels, which necessitates further optimization of the biomass conversion routes. Lignocellulosic biorefineries are the ultimate integrated biomass conversion facilities that are nowadays viewed as one of the major economic pillars of the emerging global Bioeconomy. However, less than 10% of the global fuels and chemicals production is currently biobased. This is mainly due to the fact that bioproducts are not yet cost-competitive to their petroleum-based counterparts. As the biomass feedstock comprises about 50% on average of the total production costs, it has now been recognized that low-value biomass and biomass waste streams can provide a cost-effective alternative to improve the economic viability of biorefineries. Among other, this approach offers two major advantages: 1) significantly lower bienergy production costs; 2) significantly reduce waste treatment costs, carbon footprint and GHG emissions. This presentation will discuss opportunities for valorization of industrial, agricultural and municipal biomass waste and related technological challenges that we need to overcome in our transition to a low-cost bioresource economy and biobased society. Keynote: How to make a recombinant microbial strain of bio-safety for agricultural and industrial engineering? Weilan Shao holds a PhD Degree in Microbiology from the University of Georgia, USA (1993). She has been working as a Distinguished Professor in Jiangnan University, Nanjing normal University and Jiangsu University in China since 2000. Her research mission is to develop feasible and economic effective approaches for enzyme production and renewable bioenergy processing by using molecular biotechnology. She has published more than 100 papers and obtained 2 US patents and more than 15 Chinese patents. Microbes have been widely applied to agricultural and industrial processes including food, forage or fertilizer fermentation, or industrial production of enzymes or fermentation products. These microbial strains usually should be improved by genetic mutagenesis to meet the requirement of their application. DNA recombinant techniques offer a fast, convenient and accurate approach for genetic modification of microbe strains. In a genetic modification system, a selection marker (SM) is essential for the functions of allowing transformants to be selected from non-transformed cells and maintaining recombinant properties by adapting to the selective stress of a culture medium. Drug-resistant genes are the most commonly used SMs in bacterial systems, however, they have a potential to spread antibiotic resistance to pathogenic microbes. Many currently available auxotrophy markers have been developed for yeast and fungus systems; however, these SMs require certain conditions to create selective stress which can be achieved in a laboratory, but not in environments such as biomass, forage, pulp, animal guts, wastewater, or soil. Therefore, bio safe and effective SM is required for the construction of recombinant strains used in agricultural and industrial engineering. Glutamine:fructose-6-phosphate aminotransferase (GFAT) catalyzes the formation of glucosamine-6-phosphate, and its gene are essential for microbes. The GFAT-deficient strains of bacteria, a fission yeast and an aspergillus have been constructed, and GFAT vectors can be selected and maintained stably in these cells. Using the GFAT-encoding gene can prevent the use of a drug-resistant gene as an effective SM in bacteria, yeasts and fungi. Another unique property of the GFAT-SM is that no particular compound is prohibited or required for creating a selective stress, i.e. a selection stress is naturally occurred in media or environments lacking exogenous glucosamine. Therefore, GFAT-SM will allow the release of genetically modified microbes from laboratory for practical applications in agricultural and industrial engineering. Patrice Mangin holds a PhD in Process Engineering from Institut National Polytechnique (INP) of Grenoble and an Engineering Degree from INP Pagora, France. 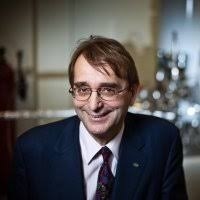 He is a bio-economy/bioenergy industry Chair holder, Professor, Chemical Engineering Department at the University of Québec at Trois Rivières (UQTR). He is the CEO of BioEnergy La Tuque (BELT) whose main objective is to build the first Canadian large scale biorefinery to convert harvest forests residues into renewable fuels (around 1 B$ project). He is an Associate Member of the Hydrogen Research Institute (IRH) and Interdisciplinary Research Center in Operationalization of Sustainable Development (CIRODD). He demonstrates over 40 years of experience with successful track record in the pulp and paper, forest products, and printing industries. He is on the Board of AQPER (Quebec association for the production of renewable energy), Chair of the biofuels and Member of the biomass committees. He is on the strategic committee of The Tuque Forest of Education and Research and on AGENDA 2020 (Washington) Chief Technical Officers Committee which coordinates the US strategy on the development of forest products and forest bio-economy. He also participates in the FPAC (Forest Products Association of Canada) BioPathWay. Quebec, like other Canadian provinces, has access to millions of tons of renewable biomass in the form of harvest forest residues. The Quebec chief forester has evaluated that, for the forest area around La Tuque (area 04), the capacity of unused harvest residues ranges from 1.1 to 1.8 green metric tons per year; the larger figure includes foliage and needles but not the tree stump and root system, which are not considered as biomass in Quebec. To valorize such unused biomass, BioEnergy La Tuque (BELT) has undertaken a large-scale biorefinery project that aims at converting the renewable, unused forest residues into “drop-in” quality fuels. The forest-based biorefinery project being the first of the kind in Canada, BELT, as the project promotor, has initiated a thorough due diligence techno-economic evaluation to mitigate and de-risk the project and attract potential investors. BELT main objective is to provide a no-compromise optimum techno-economic solution for the refinery. The thorough evaluation of all project facets is required both to select the best available process line but also to validate the availability of biomass at a low cost and over a long period-of-time, i.e. 25 years, exceeding the amortizing period, usually 15 years in the petroleum industry, of such projects. The BELT project has presently the full support of both the Canadian federal and Quebec province governments, as there is a need for a political coherence between the renewable energy policy and regulations and the development of the renewable energy industry. Our experience proves the full feasibility of such a project. The presentation will describe the BELT project and use it as a case study to elaborate on all the techno-economic-political aspects required to successfully develop in Canada, and elsewhere in the world, the bioenergy industries. Jung Chang Wang is a Full Professor in the School of Marine Engineering, National Taiwan Ocean University, Keelung, Taiwan, and is also the Director of the Thermal-Fluid Illumination Laboratory. He received his Bachelor and Master Degrees from National Cheng Kung University and PhD (Mechanical) from National Taiwan University in Taiwan in 2007. He has been teaching and researching on electronic heat transfer and renewable energy for more than ten years. He has published more than 100 research papers in international journals, conferences and patents, and edited five book chapters. His main research interest includes applied and software engineering in thermal-fluid science. A two-step synthesis preparing the thermoelectric nanofluids through an ultrasound technique was studied in the present article. The best mixing method was determined by a sedimentation experiment of suspendibility, stability, and thermal conductivity. 0.5-2.5 wt.% concentration thermoelectric nanofluids were added into a battery cell with copper and aluminum electrodes for an oxidation reduction reaction to test the generating capacity between 20 and 40°C. Two empirical formulas of thermal conductivity and generating capacity for thermoelectric nanofluids were derived by the innovation dimensional analysis. The results of the property verification and experimentation indicated that thermoelectric nanofluid and emulsifying agent mixture at a concentration of 1 wt.% had the best thermal conductivity, and that this decreases as the concentration increases. At 40°C, 2.5 wt.% thermoelectric nanofluid also had the highest electric charge density; however, the rate of increase was less than 7% higher than that for 2 wt.% thermoelectric nanofluid. The results also indicated that for 0.5-2.5 wt.% thermoelectric nanofluid between 20-40°C, inserting the temperature and concentration parameters can estimate the thermal conductivity and the electric charge density using the empirical formulas in the present study.